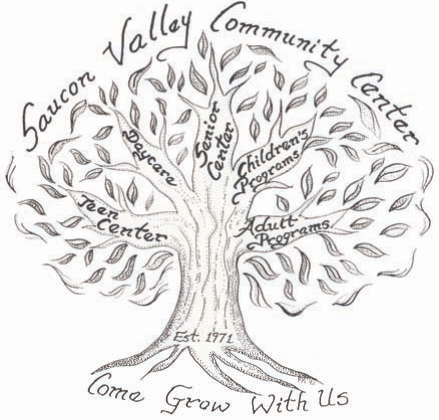 In December 1970, a group of concerned citizens began working toward providing a meeting place for the purpose of recreation, leisure, character building, and a planned program for the residents of the Saucon Valley area. A Board of Directors was established which included representatives of 17 civic and social organizations and local governing bodies plus several members-at-large. The group incorporated as a non-profit organization in January 1971. The problem of housing such a program was met with an offer by the congregation of Christ Lutheran Church to use their old church building located at Saucon and Northampton Streets in Hellertown. In order to accomplish all the aims set forth by the Board of Directors, the building had to be cleaned, painted and repaired. Funds were raised to cover costs. By-laws and house rules were drawn up and committees were formed. Furniture, equipment and games were contributed by residents of the community. Different programs began. The Boys Club of Bethlehem opened their Hellertown extension in the building, the Bethlehem YWCA began a Y-Teen Club, and the Center opened their Teen Drop In Program. On April 9, 1973, the formal dedication of the Community Center was held. Since then the Center has been elaborating on programs that are of interest to everyone in the community. Early in the 1970′s, the community center received a gift of $25,000 from the Hellertown Borough Centennial Committee. This was the kind of support they needed to get their project underway. In 1987, SVCC was a beneficiary of funds from the Prosser Trust. With these funds their future was more secure, they were able to begin their expansion. More than 35 years have passed since that group of citizens met. The Center has undergone many changes and administrations during that time, but through it all the Center has grown and flourished. Today, the Center is most assuredly a presence in the community. They are still identifying the needs of the community and servicing those needs. Although through the years, the service population has changed, they have changed with it.